New to the prestigious line-up of Metal Blade Records are the all around Swedish badass band Portrait. 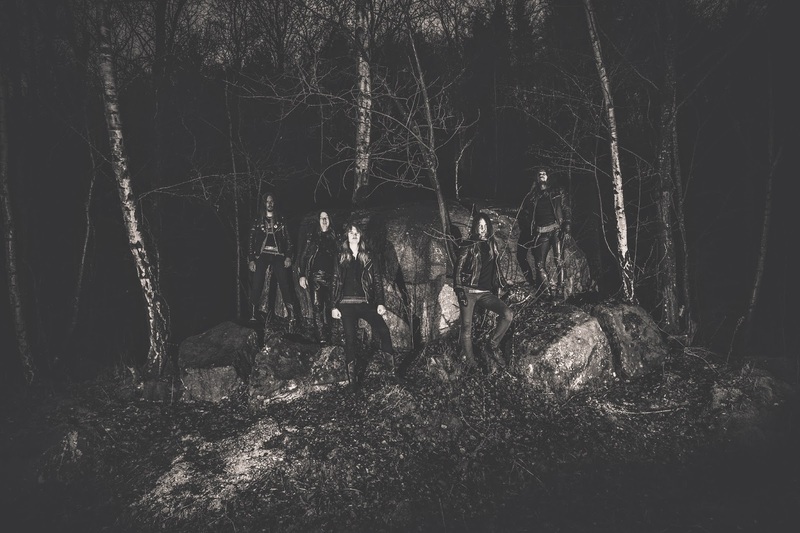 Though not new to the world of metal, this five piece ensemble have been formed since 2004 and are now setting up the release of their third full-length album, Crossroads. Little more is known about Portrait, as they've laid fairly low in the media over the last decade other than a plethora of shows, so it's on to the review we go. From beginning to end, Crossroads is an album that's dripping in old school heavy metal nostalgia and unbridled passion. The material is reminiscent of some of the best bands that've performed in the genre, including legendary acts such as Dio, Iced Earth and even the darker occult October 31. As such, in true heavy metal fashion the vocalist steals the spotlight on the material with his raw energy and genuine energetic performance. Per Lengstedt uses an extensive range of octaves and vocal scales that reach from the depths of the valleys in "Ageless Rites" to the mountain tops in "Black Easter" and everything in between. His powerful choral theatrics can pierce the very soul of the listener through his compelling lyrical attributes and unsurpassed passion. The bass is exceedingly predominate throughout the content and almost carries some tracks in their entirety, such as "Liberation" which features many guitar rests that allow the constantly changing rhythmic bass lines to take over. This fundamental becomes overbearing on the rhythm guitar at some points, pushing it back to almost inaudible levels during "In Time" and "We Were Not Alone"; though that's not to be taken as the guitars don't pull their on weight on the album. The rhythm guitar is lightly peppered with distortion and, while built mostly off palm muted riffs, births memorable structures in many of the tracks; namely "Liberation", "Our Roads Must Never Cross" and "Black Easter". There are also an assortment of tasteful acoustics stitched to a few of the songs, most notably during the nine-minute epic, "Lily". Although Crossroads runs off of the typical heavy metal formulae that involves galloping drum beats, eccentric clean vocals, scattered solos and a rocking rhythmic section that's shared between the bass and rhythm guitars, each track is built with an architecture that's different from its predecessor and shows off the proficiency of each member. There's also a sense of reminiscence brought on by a very slight rawness to the production quality and hints of reverberation in the vocals. Due to the overwhelming intensity of the material the listener will be hard up to find themselves yawning at any point. And then the content ends, what?! All good things must come to an end, but this is an abrupt cliffhanger ending where the audience is left with a sense of unfulfillment, but this is surely due to the immense enjoyability factor that's provided. 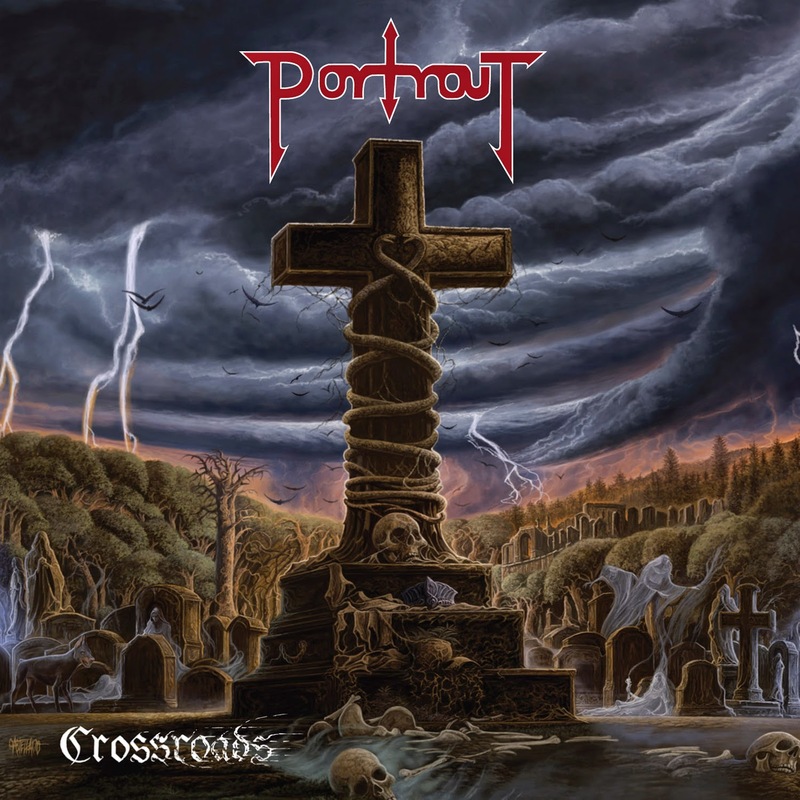 A landmark album from Portrait, Crossroads is an authentic experience in heavy metal that's complete with nostalgia and every core factor that makes the genre so satisfying. The vocals are some of the most talented and unsurpassed to come along in recent years, and the band as a whole work in unison to convey a powerful adventure. Not to be missed, Crossroads is definitely one of the must hear releases of 2014!